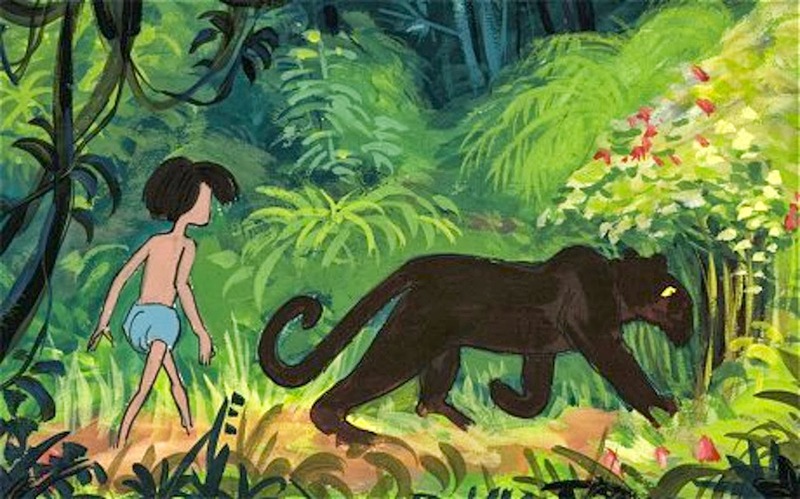 …during the production of The Jungle Book. I believe the person on the left is an employee, and the man on the right a visiting guest. It's fun to look around and see what kind of stuff Woolie surrounded himself with that day. There are a few pieces that relate to the development of the film's villain Shere Khan. Near the lower right corner of the photo is a model sheet of the wolf from the 1946 short Peter and the Wolf. 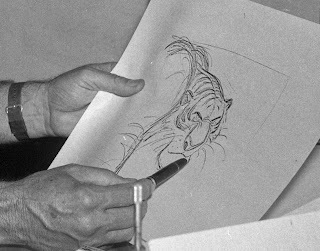 John Lounsbery animated that character way back , and perhaps some of these poses and expressions served as an inspiration for Shere Khan. 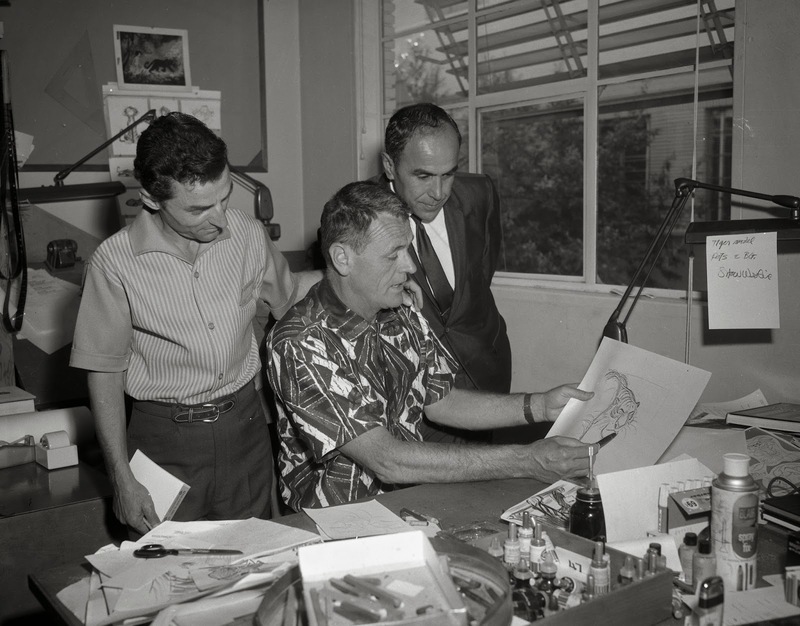 On the desk near Woolie's right hand lies a story sketch of the tiger by Vance Gerry, who boarded important sequences for the film. Behind the group you can see some of Ken Anderson's concept drawings of Shere Khan on the wall. Above those hangs a small color sketch featuring Mowgli and Bagheeera in the jungle. 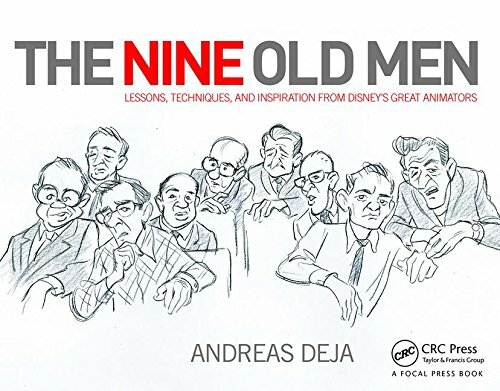 I wished there were many more behind the scenes photos that give us an insight into the daily life of the artists who produced these Disney classic films that have become American Folklore.